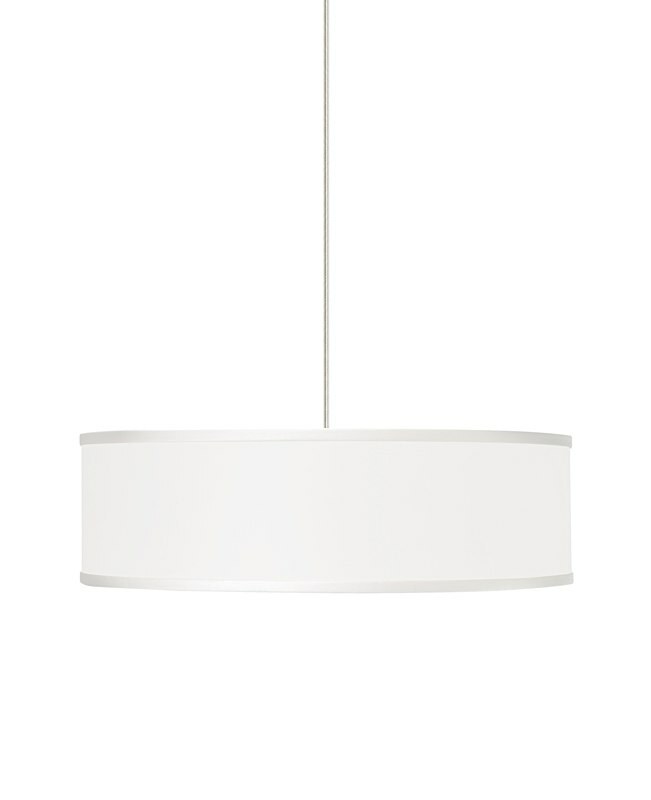 This unique drum pendant features a shorter height and larger diameter to create a unique and contemporary look. 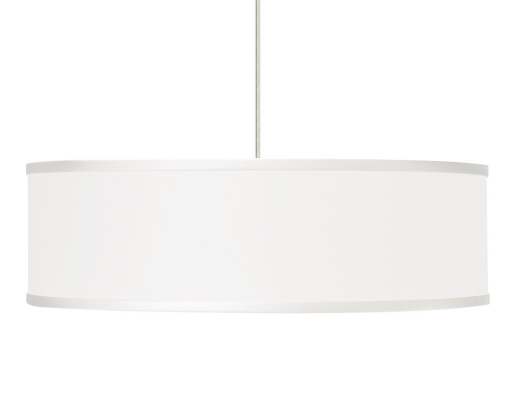 Suspended from around canopy, the Mulberry Pendant is sure to add style to your room. Glass diffuser provides a glare free wash of light. Black, satin nickel, and white finish options highlighted with satin nickel detail and clear cable; antique bronze highlighted with antique bronze detail and brown detail. Available in incandescent or fluorescent. Incandescent version includes four 75 watt A19 medium base lamps. Fluorescent version includes four 18 watt GU24 base self- ballasted compact fluorescent lamps. Fixture is provided with six feet of field-cuttable cable. Incandescent version dimmable with standard incandescent dimmer (not included). Coordinates with the Mulberry Semi Flush Mount Light.